Tea is the most consumed beverage in the world after water. However 80% of the tea consumed worldwide is black and only 20% is green. Green tea is one of the types of tea that is entirely made out of leaves. It was very popular in ancient times and people living in India, China, Japan and Thailand used green tea for prevention of various diseases and for long and healthy life. In today's fast moving life, green tea has become an essential part in the life of health conscious people around the world. People prefer green tea over other beverages as it is light, stomach friendly and energizing. The history of green tea began in China around 5000 years ago. Many ancient chinese artists portrayed wealthy people drinking a drink as a part of the chinese culture. Soon in various parts of world, different tea culture was developed. Both green and black tea come from the leaves of the Camellia sinensis tea bush. Whether these tea leaves endup green or black depends on how they are oxidized or in other words how they are finished after being picked. Green tea is made from tea leaves that are simply steamed and dried soon after harvested. Black tea is more oxidized than green tea and generally stronger in flavour than less oxidized green tea. Green tea usually loses its flavour within a year & black tea retains its flavour for several years. Black tea contains caffeine and it is also full of many healthy substances called polyphenols which act as antioxidants and protect our cells from DNA damage and may help to prevent some types of cancer but high amount of black tea intake can cause side effects that may include headache, nervousness, sleep problems, irritability, irregular heartbeat, tremors, heart burn and confusion. Green tea has ¼ of the caffeine that coffee has, making it healthier since its oxidation is arrested so more polyphenols are preserved. Green tea has approximately 20-45% polyphenols by weight, of which 60-80% are catechins, the most potent is EGCG (epigallocatechin gallate). The tea beverages also contain xanthine derivatives such as caffeine, theophylline and theobromide. These are stimulant and reported to have beneficial effects on memory and on immune system. It also contains many nutritional components such as Vitamin E, Vitamin C, fluoride and potassium which have neuroprotective activity, anti-inflammatory properties, anti ulcer, anti viral, anti bacterial and anti parasitic effects. Green Tea is also useful in some types of cancer, chronic fatigue syndrome, endometriosis etc. Green tea is synonymous with health today. It potentially has positive effects on everything from weight loss to liver disorders, type 2 diabetes and Alzheimer's. Here some of its amazing benefits are described. It has high level of polyphenols that help to kill cancerous cells and stop them from growing. According to the National Cancer Institute (US), the polyphenols in tea have been shown to decrease tumor growth in laboratory and animal studies and may protect against damage caused by ultra-violet radiation. In countries where green tea consumption is high, cancer rates tend to be lower. A 2006 study published in journal of the American Medical Association concluded that green tea consumption is associated with reduced mortality due to all causes including heart diseases. It contains a number of polyphenolic compounds that have protective effects on heart and blood vessels. Green tea has beneficial effects on cholesterol level. Regular consumption of it, significantly reduces LDL (bad cholesterol) by interrupting their oxidation and thus overall maintains normal cholesterol levels. Regular intake of green tea can enhance our brain's cognitive functions, particularly the working memory. Amino acids in green tea increase the activity of inhibitory neuro transmitter which has anti anxiety effects. People who are at a risk of developing type-2 diabetes mellitus are benefitted with amazing effects of green tea. It reduces chances of insulin resistant syndrome and helps in quicker action of drugs. As it is helpful in weight reduction, thus ultimately helps in diabetes and people prone to be diabetic in near future. It promotes significant weight loss in overweight adults. Lifestyle modifications along with green tea boost the metabolic rate and burn fat resulting in significant weight loss. Skin disease like psoriasis and dandruff are benefitted from green tea intake and green tea shower. Green tea shower slows down the over production of skin cells which is very troublesome in patients suffering from psoriasis and dandruff. Catechin compounds in green tea have protective effects on brain. Thus they may reduce the risk of both alzheimer's and parkinson's, the most common neurodegenerative disorders. Harmful bacteria in the mouth cause cavities and tooth decay. Catechin in green tea can inhibit the growth of these harmful bacteria and its consumption is associated with improved dental health. Unsweetened brewed green tea has zero calories. Thus it is considered one of the best health drinks containing the highest amount of antioxidants of any tea. But avoid adding any sugar to it. Nowadays various green tea products are available in market. It is good idea to compare different brands and different types of green teas to choose the most suitable one. 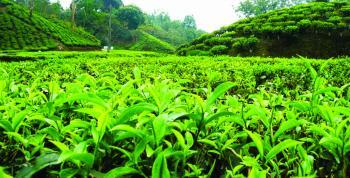 In India, ten district tea producing area are Darjeeling, Assam, Dooars and Terai, Kangra, Nilgiri, Annamalais, Wayanaad, Karnataka, Mannar and Travancore. These area have their district flavour and globally renowned for their exquisite flavour. Thus, adding a cup of green tea in our daily routine can not only energize us but also keep us away from variety of disorders. Green tea is loaded with polyphenol antioxidants, including catechin. These can have various beneficial effects on health. The level of oxidation determines the types of the tea. When the leaves are fully oxidised, it becomes black tea. Low oxidised becomes green tea and if are partially oxidised they are said to be oolong tea. The bio active compounds in green tea can have various protective effects on brain and may reduce the risk of neuro degenerative disorders.